If there's one thing that I love, it's rainbow sweaters. 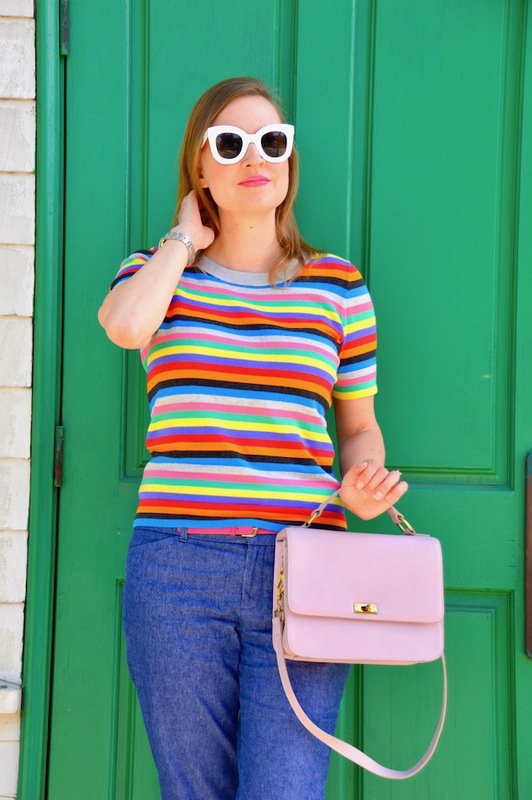 Most recently, I was at the Barney's outlet store and I found a cashmere rainbow sweater that I absolutely fell in love with! 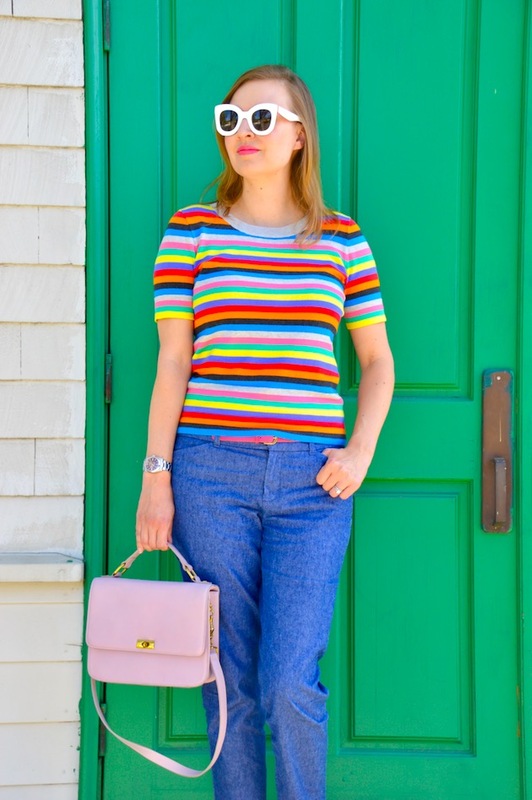 Although I was tempted to buy it, I knew that I already had a ton of rainbow sweaters waiting for me at home in my closet. 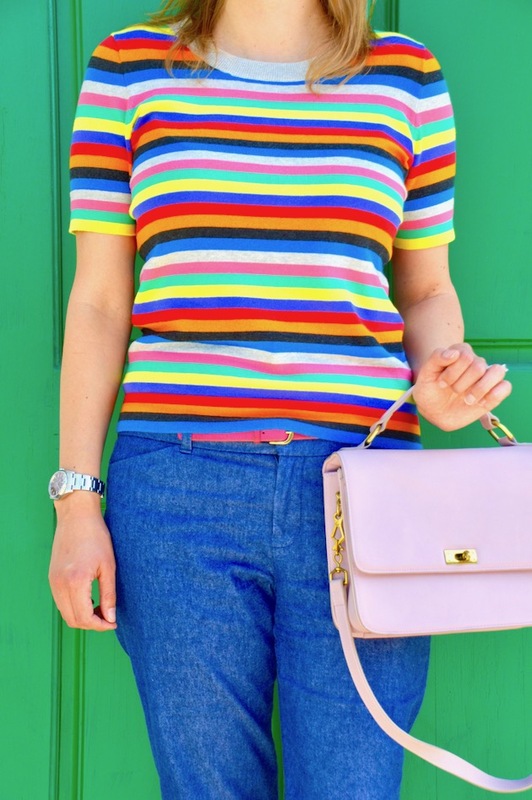 Now the one thing that I didn't have was a rainbow short sleeve sweater, which is why it made it perfectly acceptable to purchase this version from the J. Crew Factory. Also, this sweater was under $30, whereas the one at Barney's was in the $200 range. 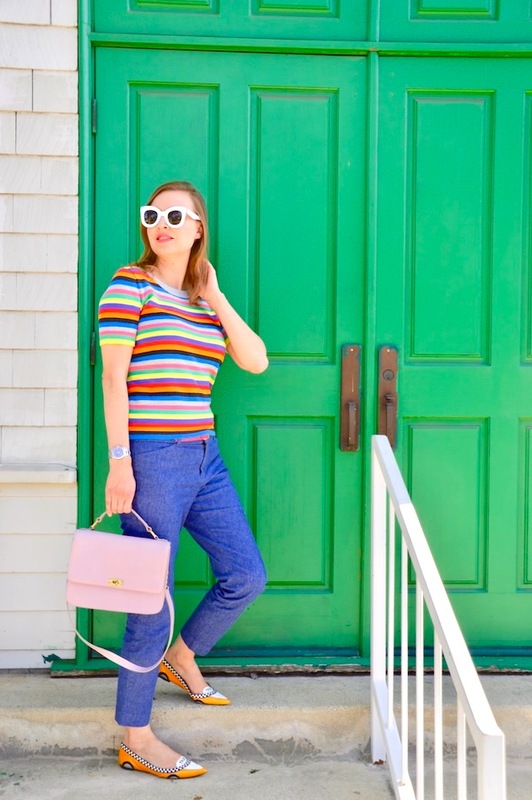 I decided to pair my new rainbow sweater for summer with some chambray pants from Old Navy. These are actually one of my favorite pairs for spring/summer, as they are light-weight. Additionally, they are a little bit more dressy than regular jeans, which makes them a nice option for work. Lastly, I topped off the outfit with my beloved taxi flats from Kate Spade for a little color and whimsy in the shoe department. 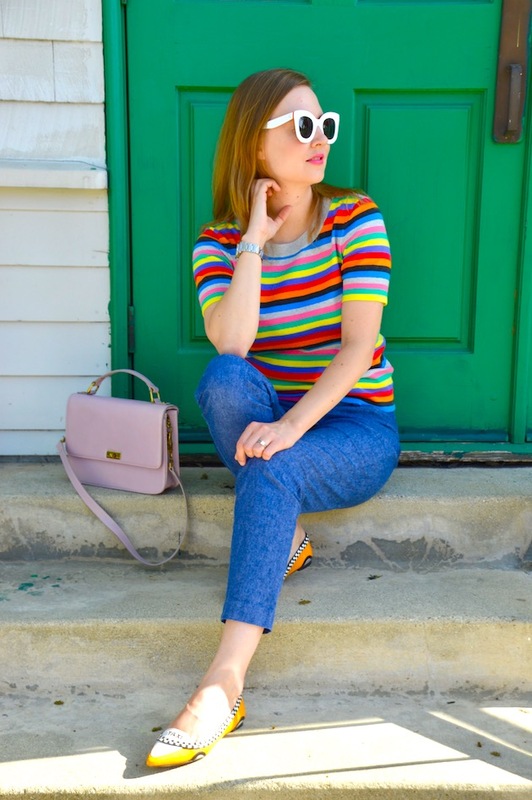 Rainbows, chambray and quirky shoes? Definitely a winning combo in my book! There's those flats! I love love love the playfulness of them. 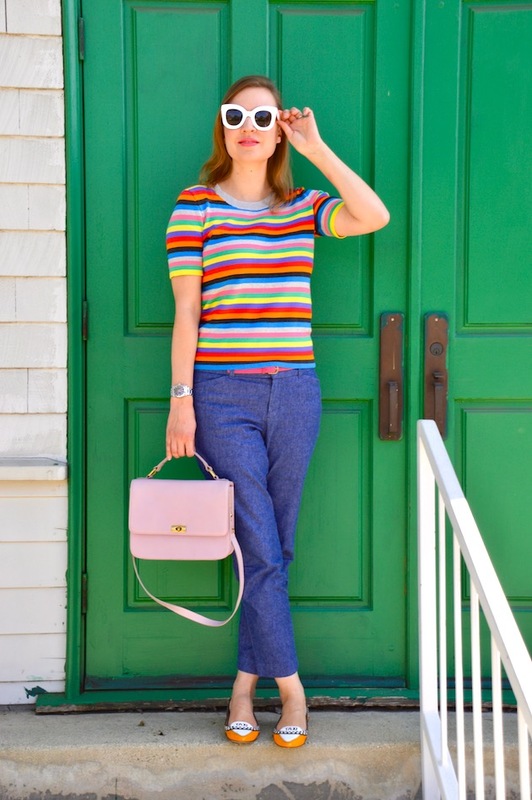 And the chambray pants are so cute and perfect for spring! 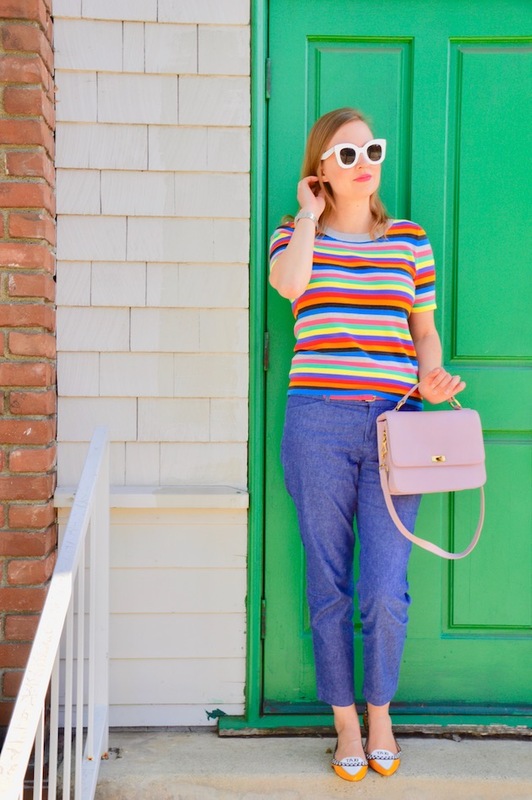 This outfit is so fun for spring!